Halo Earrings, Newest Design by KoJ! Side Stones Ct. Tw. : 0.50 Ct. Welcome to King of Jewelry, where you'll find a professional team that is committed to ensuring the love of your life receives the perfect diamond engagement ring - precisely the way the way she wants it. That's why we customize every piece of our diamond engagement ring collection from scratch. We offer a 100% satisfaction guarantee on all special orders and even custom designed diamond rings that are crafted specifically for you. One of our primary goals is to ensure our loyal customers are satisfied with their diamond purchase. Therefore, at King of Jewelry we provide the following return policy and procedure: If for any reason you decide to return your item, we will accept it back in its original condition, no questions asked and no restocking fee. Customers have 30 days from the delivery date to return the product at no charge. Once the 30-day period expires, you will be able to upgrade your King of Jewelry diamond purchase. 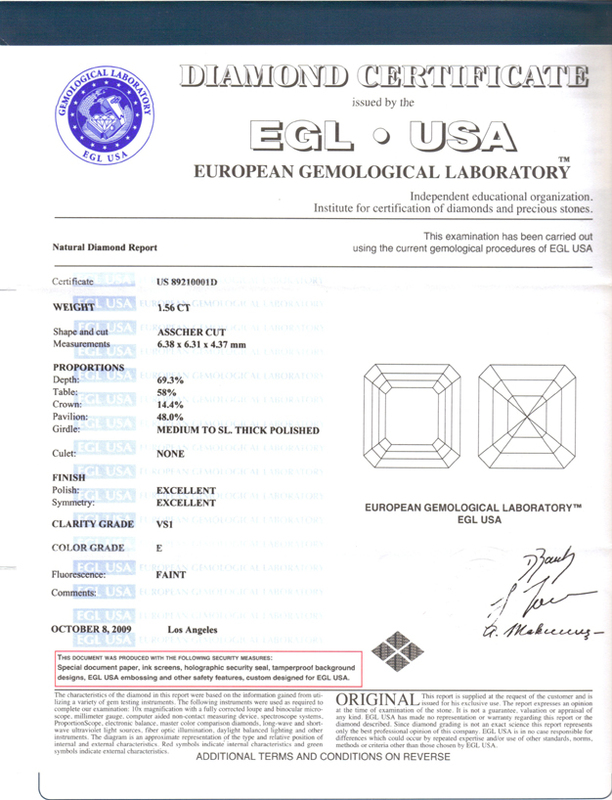 You can send the center diamond back to us with the original certificate, at which point we'll apply the original price paid for your center diamond towards the purchase of a new diamond. Even if the gem is damaged, we will still credit you with the original purchase price, only subtracting the cost of polishing and reshaping the center diamond. All upgrades must be 30% higher than the trade in value. Kingofjewelry.com offers a lifetime ring warranty. Prior to shipping, all items go through the highest quality control checkpoints to make sure that your item is free from any defects in workmanship or manufacturing. If at any point your jewelry is in need of service or repair, King of Jewelry will repair or replace the item free of charge. One of our core values is a belief that "Made in the USA" is more than a label. The awe-inspiring dedication and talent of our artists and craftspeople help make "Made in the USA" a trustworthy symbol of quality, value and love. Jewelry that is made in America often contains a notably heavier amount of valuable and beautiful gold than imported jewelry - which is frequently infused with lead or other lower-quality materials. Imported jewelry is often machine-made, with machine-set diamonds. Not surprisingly, this does not ensure optimal diamond setting techniques and standards you receive from our handcrafted jewelry. We stand by our products and will not rest until your purchase is entirely to your satisfaction. At King of Jewelry we're confident that we will meet and exceed your expectations, and our unparalleled guarantees and warranties go a long way towards ensure that. However, our customers mean more to us than a number on a ticket. We know some may feel anxious making such a significant investment without ever setting foot into our showroom. Put your mind at ease - allow us to start your order with only 10% down, then, simply pay us the remaining balance before we ship it to you. To place your order today, please call 888-349-8299. Choosing the ideal engagement or wedding ring for your true love is never a decision to be taken lightly. Diamonds represent a substantial investment, and we understand that if you're going to pay for top quality, you'll want to feel certain that you're going to receive top quality craftsmanship. At King of Jewelry, one of the premier wholesale jewelry retailers, our experts are committed to hand-selecting every diamond that comes into our store for the best price and quality. By focusing on selling all our diamonds at wholesale prices, our customers are always thrilled with the diamonds they choose. All Items can be customized and made with different Diamonds, Gems and Metals.